UL Classified fire-safe. All models featured meet federal specifications A-A-182 for fire hazard and flammability protection. Puncture resistant steel construction with durable powder coated finishes. Round metal has rolled wire rims, embossed panels and double-locked seams. Rectangular basket has vinyl rim cushion and nylon buttons on legs. 1″ recessed bottom on both models prevents heat transfers to floors. 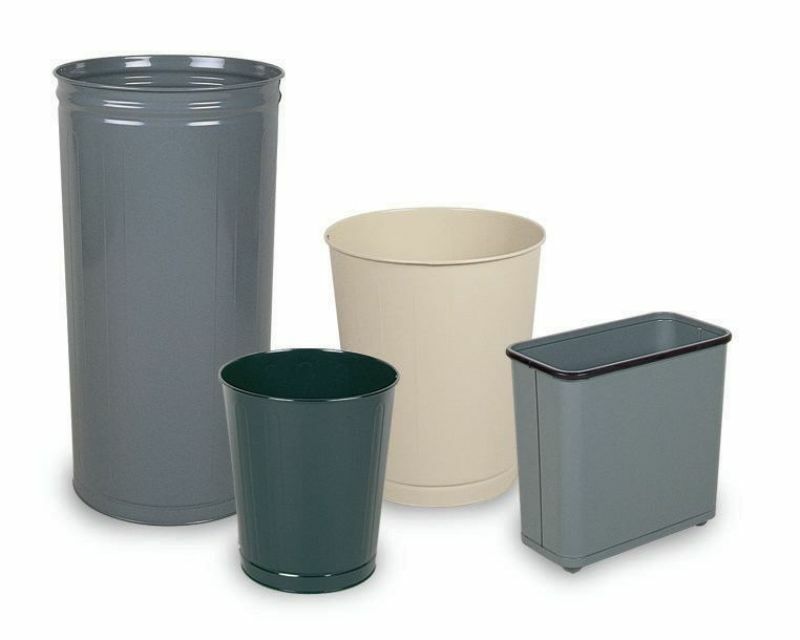 Wastebaskets must be purchased in carton quantities WB26 -6/carton; all other models 3/carton.